JONATHAN Uyloan has quickly found a new home in GlobalPort after Rain or Shine dropped him to its unrestricted free-agent (UFA) list on Friday morning. 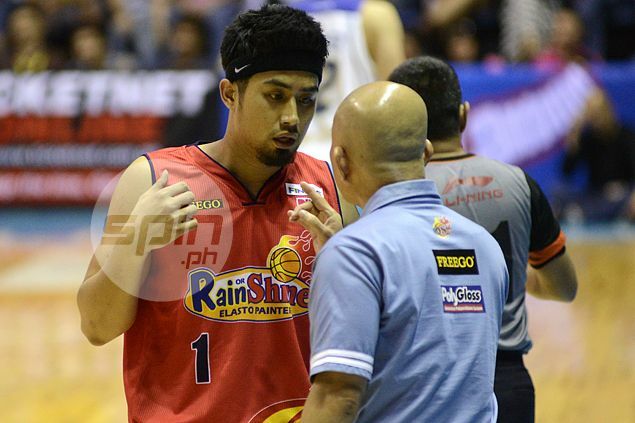 Batang Pier alternate team governor Erick Arejola confirmed the pickup on Friday afternoon. Elasto Painters assistant coach Caloy Garcia admitted the team had to drop one player to avoid going over the 14+1 player roster limit under the current league rules. The Painters have 15 players on their roster with the recent signings of rookies Maverick Ahanmisi and Don Trollano. Fellow freshman Josan Nimes has yet been signed, “but binibilang na namin siya sa lineup,” Garcia said. “As early as now, we wanted Jonathan to have a chance in case na may interesado sa kanya,” Garcia continued. “Kasi kung gagawin namin yun sa bandang October, baka wala na magkaroon ng interest kasi malapit na (ang liga). “Kung wala interesado, stay pa rin siya sa amin, but as a reserve,” he added of Uyloan, who still has a year left in his current contract. Uyloan’s transfer to GlobalPort ends his five-year stint with the Elasto Painters, where the 31-year-old guard made a name as a streak shooter after being undrafted in 2009.